Ng Wah own house brand includes pure Canadian maple syrup and various dried fruits. 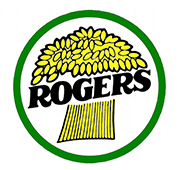 Rogers Foods has been proudly milling quality flour and cereal products from Canadian grain for over 60 years. With mills in both Armstrong and Chilliwack, British Columbia, they produce wholesome cereals and highest quality flour and grain products. 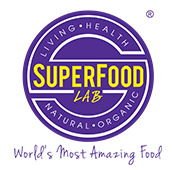 The Superfood Lab was born in 2013. They provide a way to escape bad habits and introduce new and fresh new ways of staying healthy with the 'World's Most Amazing Food' and ingredients! CanMar is the only facility roasting flaxseed and therefore differentiates itself from other flaxseed companies by the ability to add value to a nutritious agricultural food product. Roasting flaxseed adds great nutty aroma and toasted taste, a crunchy texture and delivers a safer product to consumers. Heat treatments such as roasting or pasteurization have a significant impact on increased food safety. Compared to raw flaxseed roasted whole seed flaxseed can be consumed without the need to pre mill. 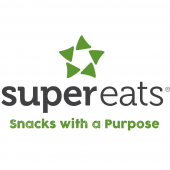 SuperEats was created to bridge the gap between healthy, nutritious foods and mainstream, unhealthy snacks. 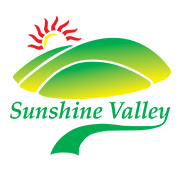 We are committed to helping consumers ENJOY healthy snacking. Our mission is to make the organic, gluten free, Non-GMO, super food movements delicious.